"He seemed to be in really good condition." Kimberley Slown of Arrow Dog Rescue told The Dodo. 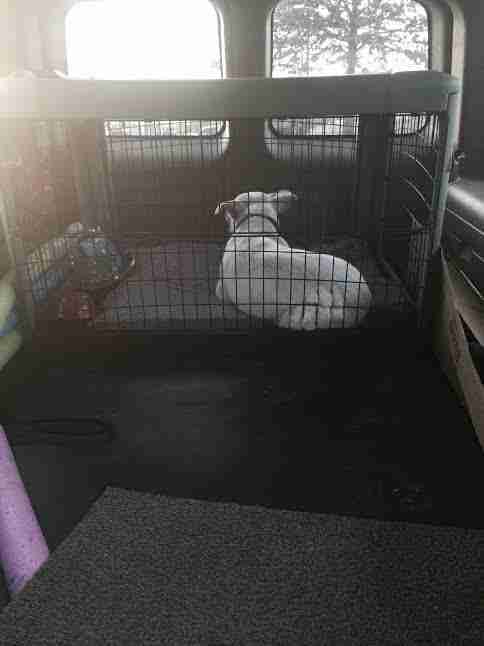 "It really looked someone just took off her collar and drove off." Staff at the store said she haunted the parking lots for days, crying and peering into car windows. But this dog wasn't alone for long. 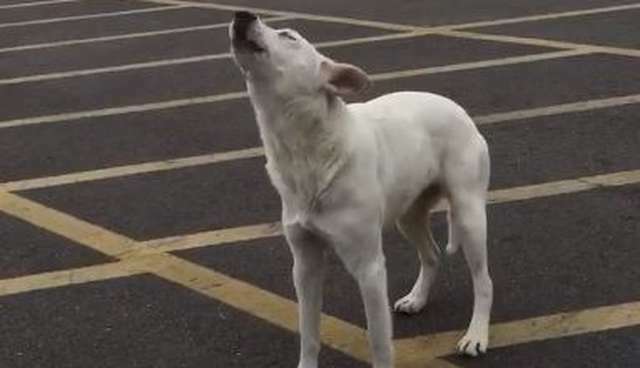 Mary Murphy, a volunteer at Arrow Dog Rescue, was leaving Sam's Club when she came across the howling dog. But she couldn't get close enough to slip a collar around her neck. So Murphy started spending her days in the parking lot too. She would bring a chair. A book. Sometimes, even her own dog. Gradually, Murphy earned the dog's trust. And soon, the dog had a new name. Samantha. 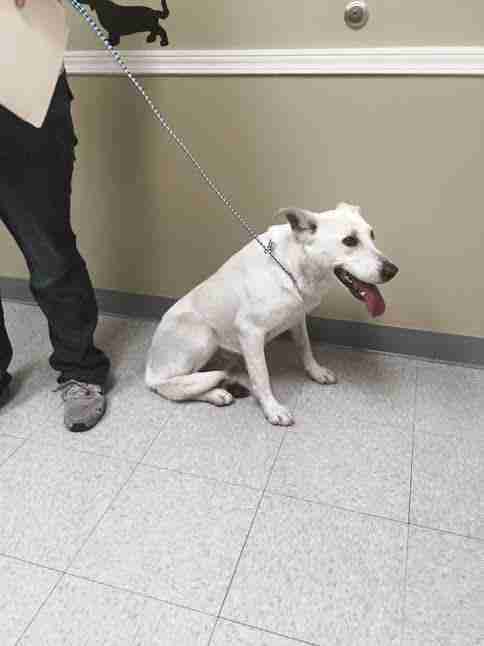 Samantha is in the care of Arrow Dog Rescue and will soon be looking for a foster home.